Boom! 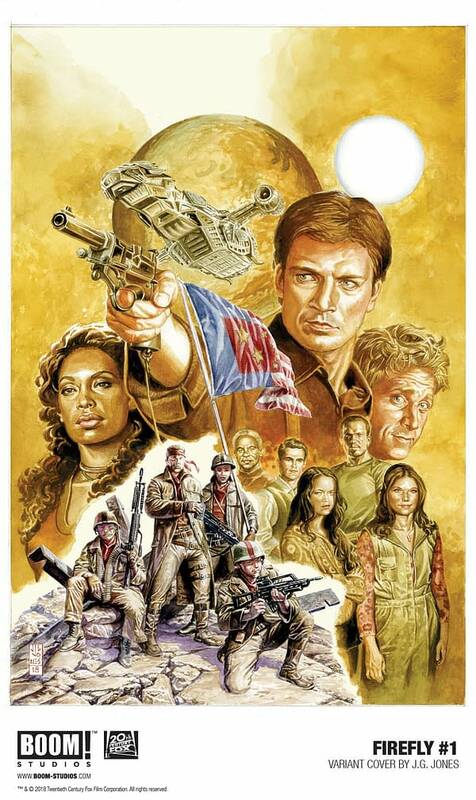 Studios is starting a hashtag today to remind everyone in the entire world that they have taken the Firefly license off of Dark Horse and will be publishing a new Firefly comic book series in November, written by Greg Pak, drawn by Dan McDaid (Judge Dredd), with series creator and story consultant Joss Whedon. #MalCrushMonday is something that they will be pushing around this time every week until it’s solicited, and today that means a variant cover by JG Jones. 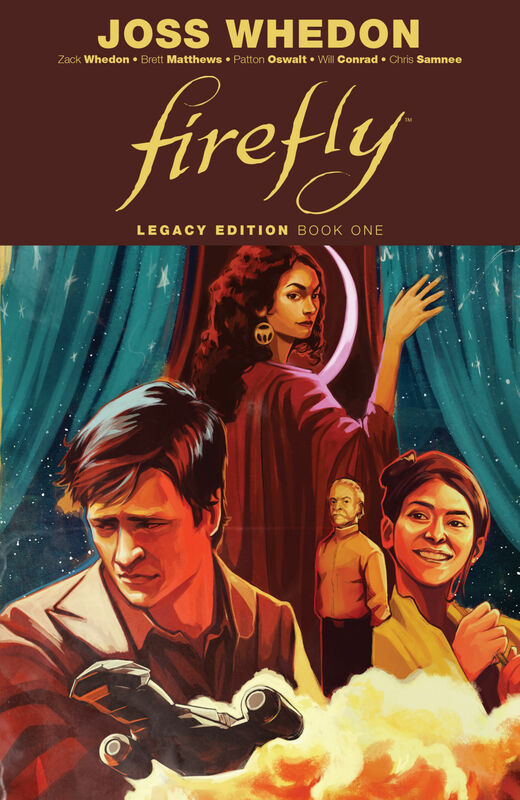 And a reminder that on the same day, they will release the first in a series of collections of previously released Firefly/Serenity comics from Dark Horse — but now from Boom!. Well, Fox did buy into Boom! and bring them to their lot… what happens now, with Disney and Fox’s moves, is yet to be understood… but they probably aim to misbehave.